Scrum Alliance® recently spoke with Jacky Shen, a recipient of the Certified Team Coach℠ (CTC℠) certification. In this interview, we ask about the key moments of his Agile and Scrum Journey, the turning points that developed his coaching style, and what attributes he believes can help other certificants expand their coaching role and influence others. Shen: In 2009, as a ScrumMaster, I participated in coaching training provided by the company I worked for. I saw a totally different way to communicate with people by providing no suggestions but by asking questions and listening. Then I applied that mindset to my team and it worked amazingly! I could empower my teammates and enable them to self-organize. In other words, I could be absent for their Scrum ceremonies and it still worked! So then [I realized] I could put my energy toward becoming an internal coach. Shen: I joined Nokia Siemens Networks in 2007 when Agile had been implemented in promoting the whole 3G Platform product line. I obtained ScrumMaster certification in 2008. During my career at Nokia Siemens, I have been working in various roles such as Project Manager, ScrumMaster and Agile Coach, and was lucky to work with a lot of experts in Agile. I joined Standard Chartered Bank’s Global Channels Innovation Team in 2011, and was responsible for a brand new Mobile Banking project. I acted in multiple roles, including ScrumMaster, front-end architect, project manager, and also coached the cross-site teams to scale Agile among three countries. In that project, we had not only introduced the front-end tools, but also the good engineering practices such as Continuous Integration, Test Automation, trunk-based development, and unit testing. Also at that time, I started to get involved in the Agile community to organize events and share presentations as well as get to know more of my Agile colleagues. I started with wider reading and summarized my experience on my personal website (www.JackyShen.com), because I realized that knowledge can only become my own by constant summarizing and sharing with others. Shen: In the past six years, I have become smarter about Agile, but sometimes confused as well. Nevertheless, it’s important to keep continuous learning and improving, so I always insist on [staying on] the road to exploring agility in terms of actual development and management. Looking back today, the skills I honed during that time gave me a large quantity of achievements and [a sense of] accomplishment, and also helped me formulate a complete Agile values and practices system of my own. These thoughts inspired me to research deeply on soft skills like facilitation and coaching. I have completed the transformation in my career from a traditional developer to Agile developer, then to Agile manager, and finally, to full-time Agile coach. Shen: I started to get involved in the community in 2011 to organize events, share presentations, and get to know more Agile [practitioners]. The community involvement helped me very much for my experience with and understanding of Agile, and helping more people better recognize the career of an Agile Coach, so that they can grow faster. A person could receive inspiring ideas, [network with people] from other companies to find better job opportunities, or even meet other practitioners [to not feel] lonely on the journey of Agile. Shen: The CTC application journey is not easy, but everything has two sides of the coin. It did drive me more [to gain a] clear understanding of Scrum Alliance’s [perspectives on] Agile Coaching—that is, to help companies improve their performance with the combined skills of consulting plus coaching, which is very close to my understanding through many years of practical experiences. I remember the “Agile Tour Friends Gathering” in Xiamen 2014, where there was one session in which everyone discussed their feelings about Agile. What I said was, “Agile should become part of our life.” At that time, I just thought I should become Agile as a good example to others. Shen: I don’t think there’s a standard of a “good coach,” but I do believe some key points of a good “Agile coach.” Those are: leadership and team-leading experience; practical Scrum team and XP engineering experience; soft skills, including teaching, mentoring, facilitating, and coaching beyond the theories and consulting suggestions by the book. Agile is ultimately a mindset, and a coach needs to live with the philosophy he or she believes as an example to support and encourage people to grow and account for their own life. Thank you, Jacky, for your thoughtful and in-depth responses! Jacky has been working in multinational corporations for 10+ years. He currently provides Agile/Scrum related training and coaching to clients, focusing on Software Craftsmanship. Jacky is experienced in Agile transformation of large organizations, as well as team building and engineering. 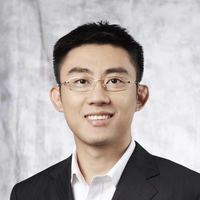 You can learn more about Jacky Shen by visiting his Scrum Alliance profile.